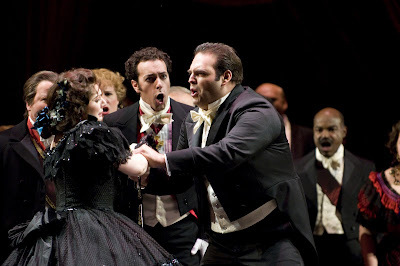 You all keep submitting entertaining analyses of these Traviata photos, and yesterday's captions were no exception. Today's poster winner is oliviagiovetti for her comment, "Dude, I TOLD you counting cards doesn't work in this game..."
NO! Hands off my woman! !